AMD has provided an update on the state of their FreeSync technology, confirming that monitors supporting the adaptive sync technology are now available in select locations in Europe, the Middle East and Africa. 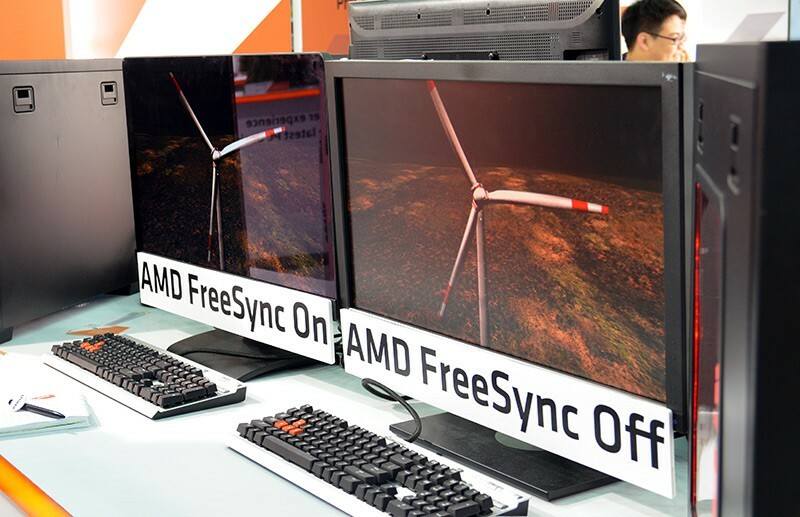 It's expected that FreeSync monitors will hit North America and Asia Pacific shortly. At this stage, three FreeSync monitors have been spotted on sale in the United Kingdom: the BenQ 27-inch 144Hz XL2730Z for £497.99, the 34" ultra-wide LG Flatron 34UM67 for £499.99, and Acer's 27" Predator XG277HU for £429.95. Compared to equivalent G-Sync monitors, FreeSync alternatives are notably cheaper. The Asus ROG Swift PG278Q, one of the more popular G-Sync monitors, retails for £619.99 ($800 in the United States) with very similar specifications to both the aforementioned BenQ and Acer monitors. Choosing the FreeSync alternative in this case saves you up to £190. This price gap between FreeSync and G-Sync monitors is expected. Nvidia currently charges display manufacturers several hundred dollars for the proprietary G-Sync module found in G-Sync displays, whereas FreeSync only requires a display scaler with DisplayPort 1.2a and VESA Adaptive Sync support. As these scalers are not proprietary, they are cheaper to implement. However, at least at this stage, FreeSync is only supported on AMD graphics cards, effectively creating a technology war between FreeSync and the Nvidia-only G-Sync. Unless Nvidia and their hardware partners cut the prices of G-Sync monitors, the significantly cheaper FreeSync standard seems to be a more attractive proposition for gamers looking to invest in adaptive sync displays. While FreeSync monitors have started to hit the shelves in Europe, eager buyers will have to wait until March 19 for AMD to release a FreeSync-compatible driver. When the driver is released, it will only support single-card setups; those with CrossFire systems will have to wait even longer, until sometime in April, for a multi-GPU FreeSync solution.